The barrel and guide rod are not included. This slide is desiged to upgrade a standard P320 fullsize 9mm. Part Number Conversion Kits. Lights / Lasers. 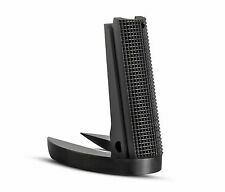 Built for maximum strength and durability, with a top quality black oxide finish this made in Israel magazines is a great choice for your 1911. 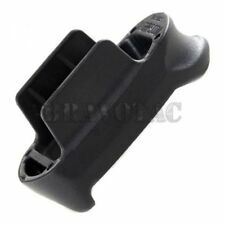 New ListingNew Sig P365 Grip Module Black. Great to change color, customize or to stipple. Would be great for changing color, customizing or stippling while preserving your original one. Factory info below. WarrantyWarranty provided by Sig Sauer. Accessory RailNot Applicable. Will NOT fit P320c, P320 Carry, P320 Compact, and P320 Sub-Compact Pistols . Stainless Steel Guide Rod and 18lb Recoil Spring for Sig P320 Full Size. Full length over sized to work with our included recoil spring. Fits only the Sig 365 10rd Mags. 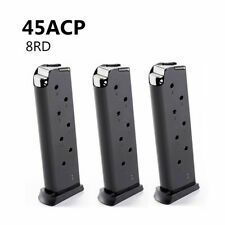 - This unit replaces the magazine base plate on the SIG P365 (10 round magazines). BE ADVISED: THIS FINGER TIP EXTENSION DOES NOT ALTER ROUND COUNT - Not the "PLUS" version! 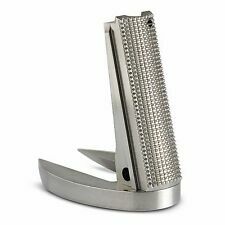 Klonimus 1911 Stainless steel Ambi Thumb safety. Top quality Klonimus parts. Trigger Bars. Trigger Pin. factory takeoff. drop safe. Slide Catch Spring. Tension Spring. Housing Pin. Disconnect Pin. Built for maximum strength and durability, with a top quality black oxide finish this made in Israel magazine is a great choice for your 1911. Factory Sig Sauer P320 take down lever. O-Ring included as pictured. Klonimus 1911 Trigger. 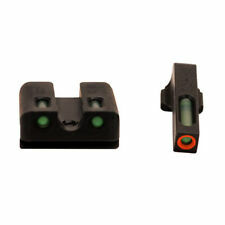 Klonimus Top quality lightened aluminium trigger. Lightened aluminium 1911 trigger. Aluminium trigger shoe. Machines from billet steel. Works with UPGRADED Sig Sauer P320 model pistols ONLY (including the X-Series). NOT for use in the non-factory upgraded P320 pistols. Does NOT function in the Sig Sauer P250. Hogue Sig Sauer P365 Beavertail Grip Sleeve Features. 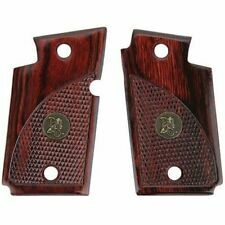 Hogue Sig Sauer P365 Beavertail Grip Sleeve Specifications. 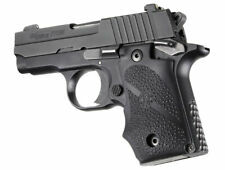 - Fits: Sig Sauer P365 Pistols ONLY. - Style: Beavertail. - Model Number: 18700. - Molded from a modern soft but durable rubber. Sig Sauer P320 X5 factory Grip Weight. P320 parts, Sig, Sig p32, X5, X-5, XFive, X-Five. 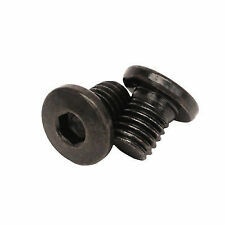 The black rubber spline that secures the weight, is included. Stainless Steel Guide Rod and 22lb Recoil Spring for Sig P320 Full Size. Will NOT fit P320c, P320 Carry, P320 Compact, and P320 Sub-Compact Pistols . Full length over sized to work with our included recoil spring. Klonimus top quality precision MIM magazine catch kit. 1X magazine catch lock. 1X magazine catch. 1X magazine catch spring. Sig Sauer P320 Flat Advanced Trigger. The trigger is easily installed without the need for tools or fixtures. Machined from billet steel. Works with UPGRADED Sig Sauer P320 model pistols ONLY (including the X-Series). Includes: 23lb mainspring, mainspring cap, mainspring retainer pin, mainspring cap retainer pin. 1911 fully machined Aluminium Mainspring Housing KIT-. Fits all standard full size 1911. Provides better grip. This kit include 3 precision cut, black oxide finished 1911 sear springs. Correctly tempered so it wont set back when cocked and locked. Klonimus 1911 Sear spring kit. Klonimus 1911 Sear spring set. The barrel and guide rod are not included. This slide is desiged to upgrade a standard P320 compact 9mm. Part Number. Sig Sauer Factory ORIGINAL Black P226 Grips. Sig Sauer Factory ORIGINAL Black P226 Grips.. Condition is Used. Shipped with USPS First Class Package. Lower 48 shipping only. This adapter allows these models to utilize the many readily available accessories on the market for the popular 1/2"x28 thread. Adapter features flat ridges for installation/removal with a wrench and includes a 1/2"x28 thread protector (to protect the 1/2x28 threads for use without an accessory or for storage) Thread protector features a very attractive fine diamond knurl and looks great. Sig Sauer P320 X5 factory Magwell Funnel. P320 parts, Sig, Sig p32, X5, X-5, XFive, X-Five. Removed from Factory new Sig P320 X5 Grip. Klonimus top quality stainless steel Silver 1911 Torx grip screws kit. the kit include: 4 Torx screws. 1911 Stainless Steel Silver Torx Grip Screws Kit. Quick and easy installation for all standard 1911's. The XGRIP XGS320/250C adapts the full size SIGSAUER P320/250 magazine for use in the P320/250C pistols. The XGRIP slides over the P320/250 magazine and seats into place over the floorplate. No tools are required. This Klonimus 1911 pin kit include Perfect as a spare set in your range bag or building a new 1911. This is a Sig Sauer P320 9mm Slide. Barrel and recoil assembly are not included. Part Number - SLIDE-320C-9-B-NORX. Conversion Kits. Lights / Lasers. Specially sized for smaller pistols, not a huge rifle sized brake slapped on a pistol. The smaller brake looks best on these little 22's and gives your gun a great tactical look. I don't get into too many battles with mine, but I simply like the way it looks. New Sig P365 Grip Module Black. Great to change color, customize or to stipple.